Have you ever been asked what you did yesterday or last week and your mind goes blank? Thats how I felt when I sat down to write about what we did this week. I know we had a great week, it just seems that somehow the days seem to blend together. What did stick out in my mind is that we officially have a child in the double digits!!! 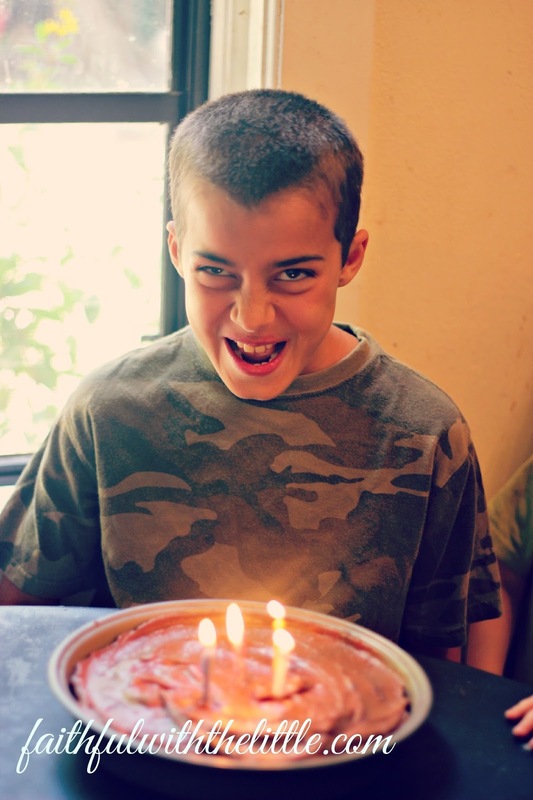 How did my baby turn into a 10 year old? Israel has been such a blessing to us from the very moment we found out I was pregnant. Three months prior to finding out I was pregnant; I had a miscarriage. He was the answer to our prayers and such a comfort to us! Not only have we taught him but he has taught us many valuable lessons through the years. He broke us into parenting. Before I had children I always thought if you raised your children to fear God and trained them in the way they should go they would listen and obey; just like that. Boy, did I have a lot to learn about our sin nature. I am so thankful for all that I have learned and all that God has taught me about myself through my very determined son. His name Israel, means governed by God and it fits him perfectly. Jacob wrestled with God until God blessed him and then God changed his name to Israel. Well, our Israel is the most persistent person I know. He does not stop until gets his point across or tries to get what he wants. Though this character trait has proven to drive me crazy at times, it has made me have to be even more persistent. I am so proud of the young man he is growing into. As the oldest, he has a lot of responsibility and little ones looking to his example. He is very tender hearted and loves his siblings so much. I know that God has great things in store for him and I am so excited to see how God is going to use his gifts and talents. He has developed into quite an artist and amazes me everyday with his art work. He loves legos and can be found most days building his own creations. He is always experimenting and coming up with the coolest inventions. I wish my brain worked as fast as his does. At least 20x a day he says, "Mommy look at this." 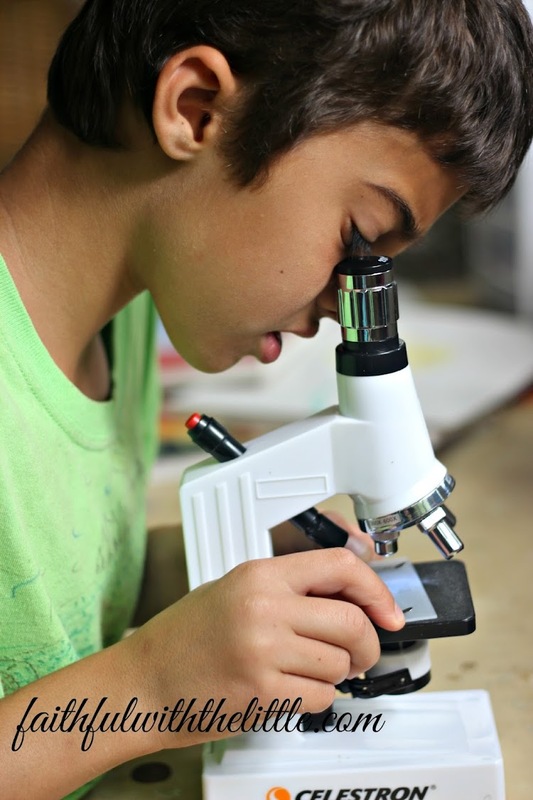 We got him a microscope for his birthday and it was a big hit. He and the other kids have been running around the house looking for things to magnify. It has been very enlightening to see the intricacy and details in things that we can't see with our own eyes. There are some things though that are flat out creepy and I would rather not know what they look like up close and personal. He saved up his own money and bought this lego set. He came right home and put it together in a couple of hours. 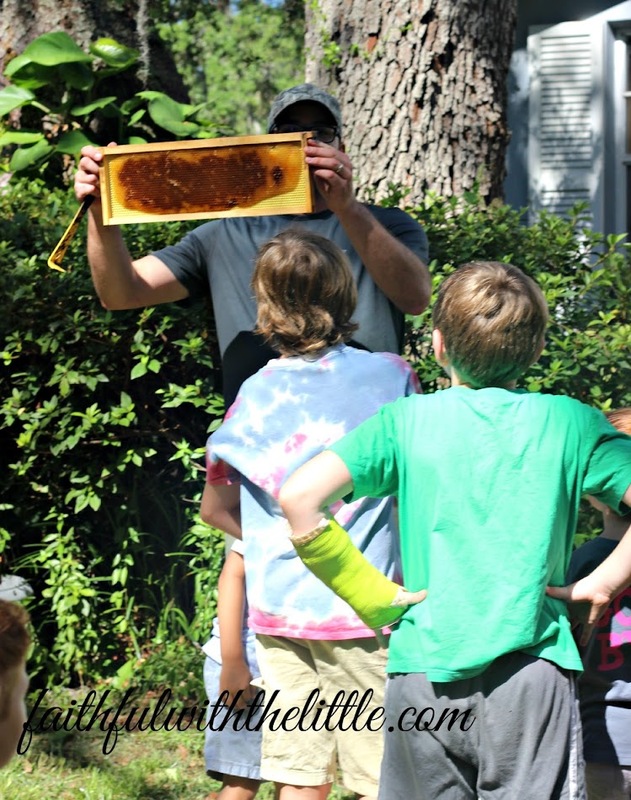 Josh put on a beekeeping demonstration for our local homeschool group this week also. After beekeeping for seven years he has become very knowledgeable. I think bees are fascinating. Not only do they make delicious honey but they pollinate much of our food and are vital to our environment. I have learned a lot about bees since we have kept them but I hardly know anything compared to Josh. I have kind of been busy caring for our own little brood, but I am really excited to start learning more. 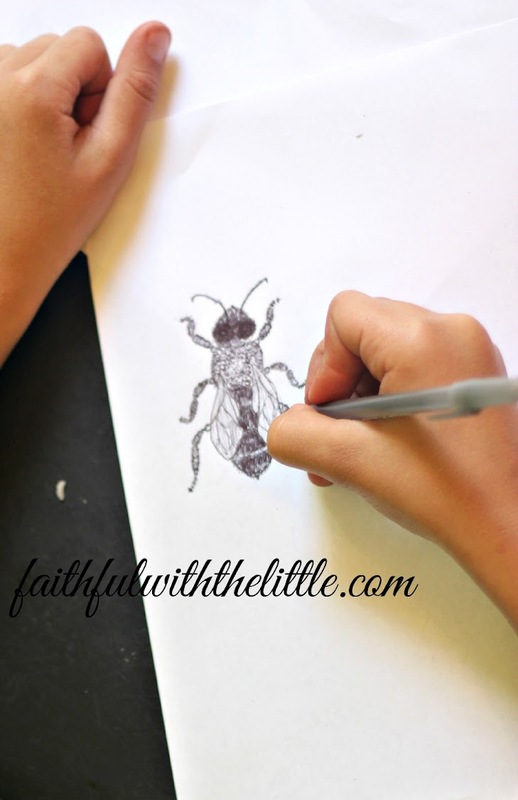 After the little field trip the kids and I came back and did some more research and they drew pictures of bees. Did you know that a bee has to visit about 2 million flowers to collect enough nectar to make a pound of honey and the energy in 1 ounce of honey would provide one bee with enough energy to fly around the world??? Crazy, I know! We have been pouring over "The Beekeeper's Handbook" finding out amazing information about bees. If you are interested in bees or beekeeping get this great book here! This week has had a lot of ups downs. I know that God has been calling me to trust him and see with eyes of faith. There are so many things that I want to press ahead with and make happen the way I want and when I want but I truly know that God's plans are way better then mine. He is completely trustworthy. Even though it's very difficult at times I want his will above all else and I know that all the waiting will be worth it. I can only see what is here before me now, but I want to see with eyes that look beyond what is in front of me. 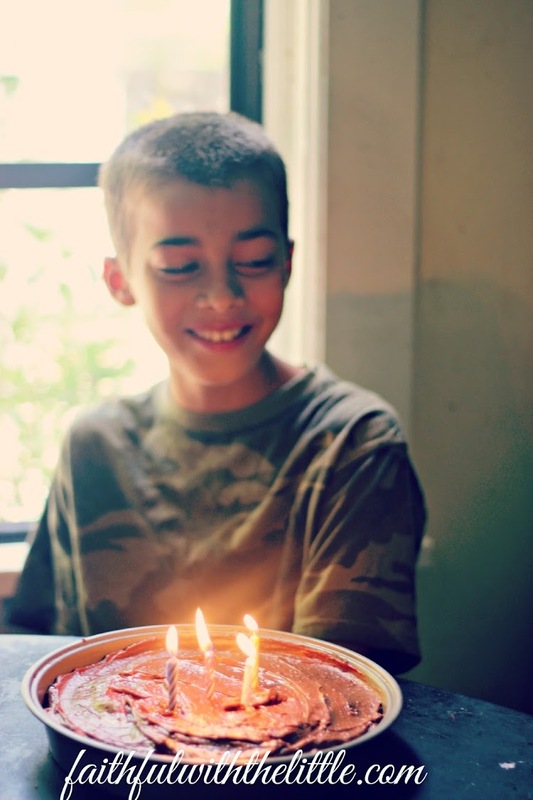 Do you have a child who just hit the double digits? 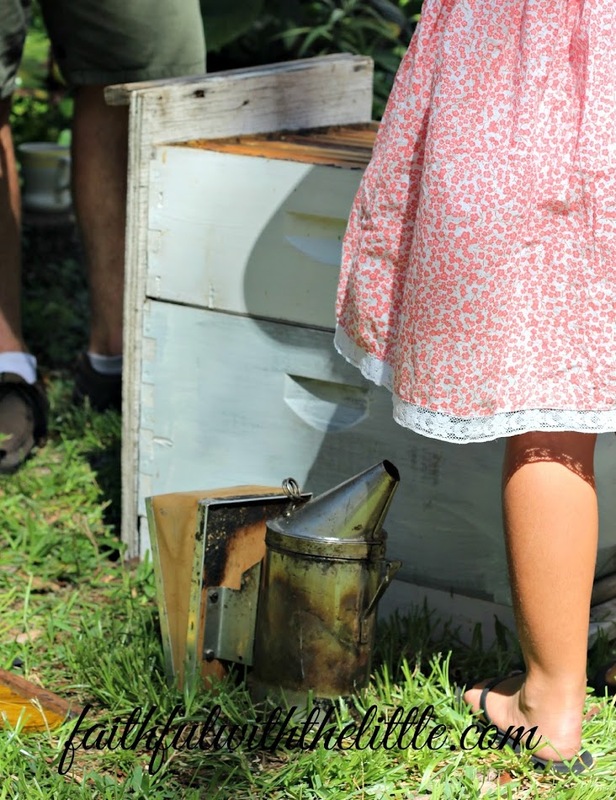 Have you ever been interested in beekeeping? Are you an amazon affiliate? How do you like it? Has God been urging you to see with eyes of faith also? Disclosure- this post contains affiliate links that help support this little ol blog. This will affect you in no way and I only earn a small percentage when you make a purchase from the link. Gosh, what an amazing artist! So detailed! Hold fast to God, dear friend, keep on, keeping on. Hugs! Happy Birthday to your son! We have a birthday in 6 days for our son as well :-) Love the beekeeping demonstrations. My brother in law is also a bee keeper. 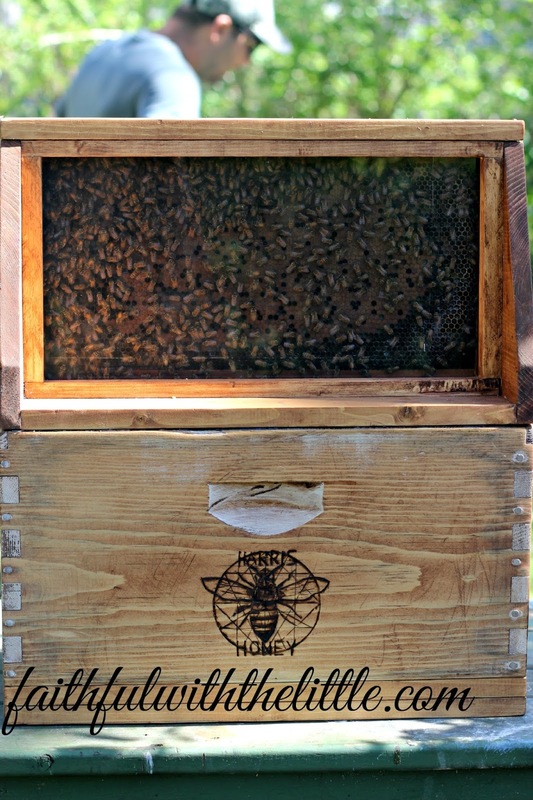 We get to help harvest the honey when we go visit in the summers. It's awesome! Thanks Erin! Birthdays are so bittersweet! Oh how cool! We love that our children can help with harvesting also. It is so educational...and delicious! aw, Happy Birthday! 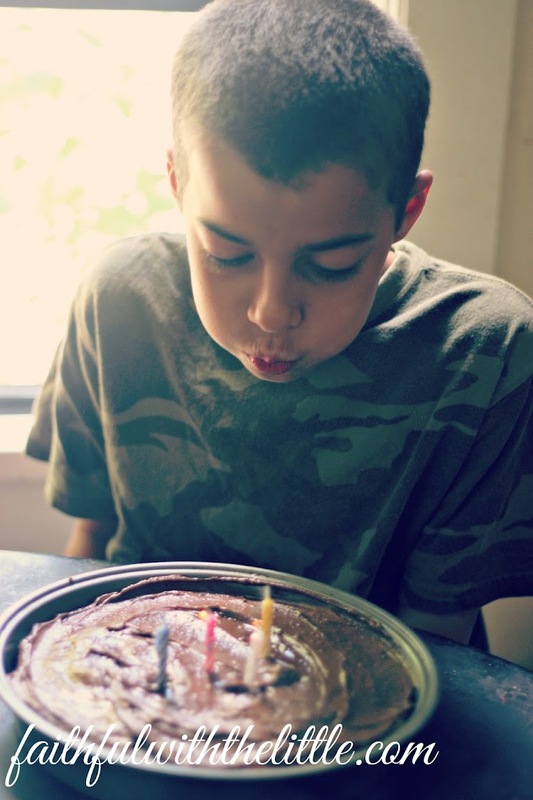 Mine is turning 8 this year and I can hardly believe it. You are halfway through! How does time go so fast?!?!?!? Your blog will not suffer for being an amazon affiliate, and I so admire your passion to be true to yourself and your readers. Thanks for sharing and linking up at Favorite things Friday! Hope to see you again this week! It really is crazy how fast time is going! Thanks for your kind words! Thanks so much for your weekly encouragement!